Several adjustments can be made to an invoice once it has been generated, but these actions are irreversible. See below the steps to add or remove an item from an Invoice. To find an invoice, see Finding an Existing Invoice. Permission to Edit the Client Accounts is required to amend an existing invoice. 2. Find the Item by typing or scrolling down the list. All services, classes and billable items inventory items will be displayed. 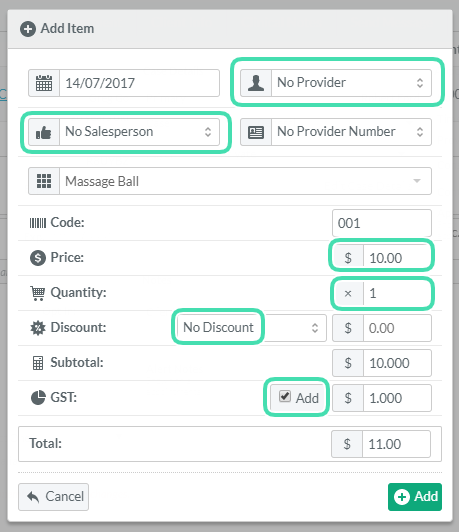 Add a Provider or Salesperson after adding all the items in the invoice. This can be done in bulk by selecting all the appropriate items that apply to the same provider or salesperson and using the option Change Salesperson or Change Provider in the right side menu. Adding a Salesperson will lead to differences in reports. The Salespersons will be credited for items invoiced in paid assigned to them over the Provider, even for a service or class provided by the provider. These discrepancies will be shown in Management reports such as Activity Report, Practice Payment and Provider Payment. Services or Classes will remain under the provider’s name in Statistics reports. 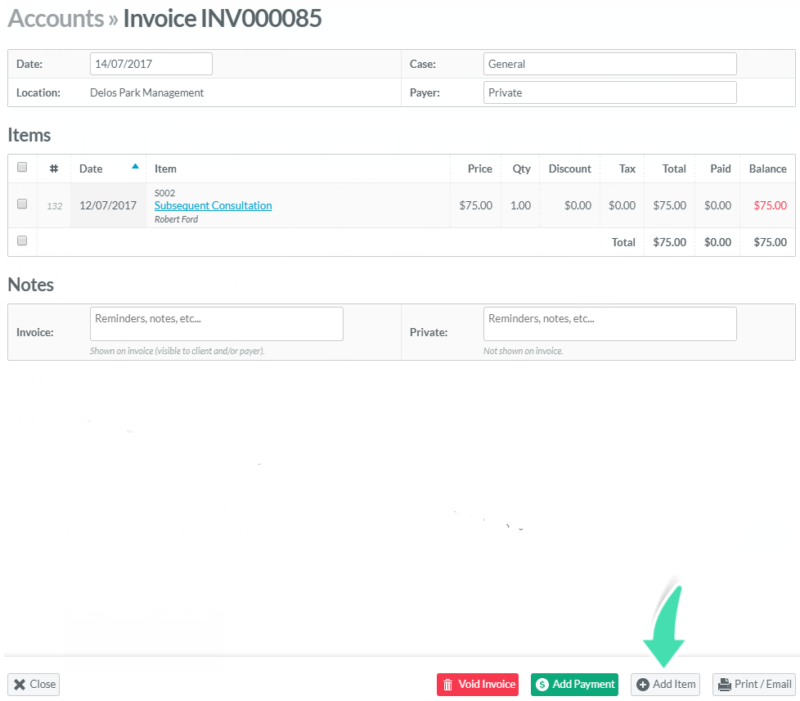 Write down any payment information (amount and payment method) relating to the invoice before deleting an item because when an item is deleted, any transaction recorded for this item will be voided simultaneously. This is irreversible. 1. 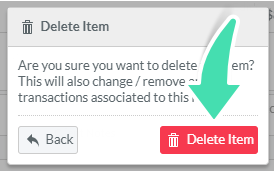 Select the item(s) to delete by ticking the corresponding box(es) on the left side. 3. Click Delete Item to confirm deleting an item with any transactions associated with the item (if applicable). 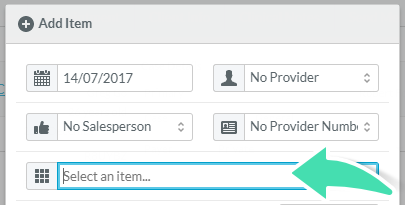 To edit an item once it has been added, see Editing an Item in an Existing Invoice.